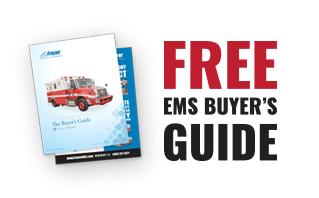 How To Reduce Maintenance Costs with Frazer's Low Overall Cost of Ownership - Frazer, Ltd.
Don’t you hate the excessive cost of maintaining an ambulance fleet? Frazer’s Low Overall Cost of Ownership allows you to reduce the number of reserve units by keeping your frontline fleet in service. Listen as Kasey shares how Frazer’s superior design allows our units to stay on the road longer and get back on the road faster.